When you need roadside assistance you want a company with a large fleet who can get to your Lakewood, WA location quickly. You want someone you can trust and who has the expertise to get you back on the road or safely towed. 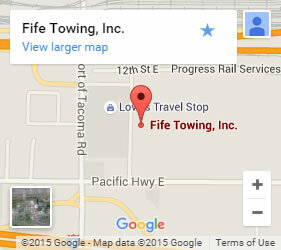 Fife Service & Towing offers over 65 years of experience offering the best roadside assistance in Lakewood, WA and surrounding areas. We are a locally-owned business with a large fleet of service vehicles driven by certified roadside assistance experts. We know the area and never have to outsource your call to other towing services who may not be well vetted, as some national services do. Instead, we have our own 24-7 dispatch to locate and direct our closest roadside assistance technician to your location. We know every minute matters when you are stranded. We want to get you safe and back on the road. That is why we come prepared for a multitude of possibilities. Our roadside assistance technicians are well-trained and experienced in problem-solving. Whenever possible we get your moving again. Whether you are out of gas, have a flat, need a jump-start, are locked out, or you’re stuck, we can repair the situation and get you driving again. If your vehicle cannot be started after we trouble-shoot the usual suspects, we are able to tow any type of vehicle to your mechanic or other location. Your safety matters to us! That’s why we get to you fast! 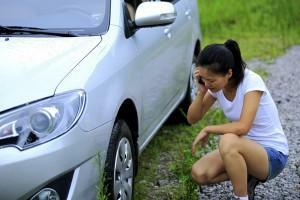 Contact us today at (800) 244-9528 for your trusted roadside assistance in Lakewood, WA and the surrounding cities.